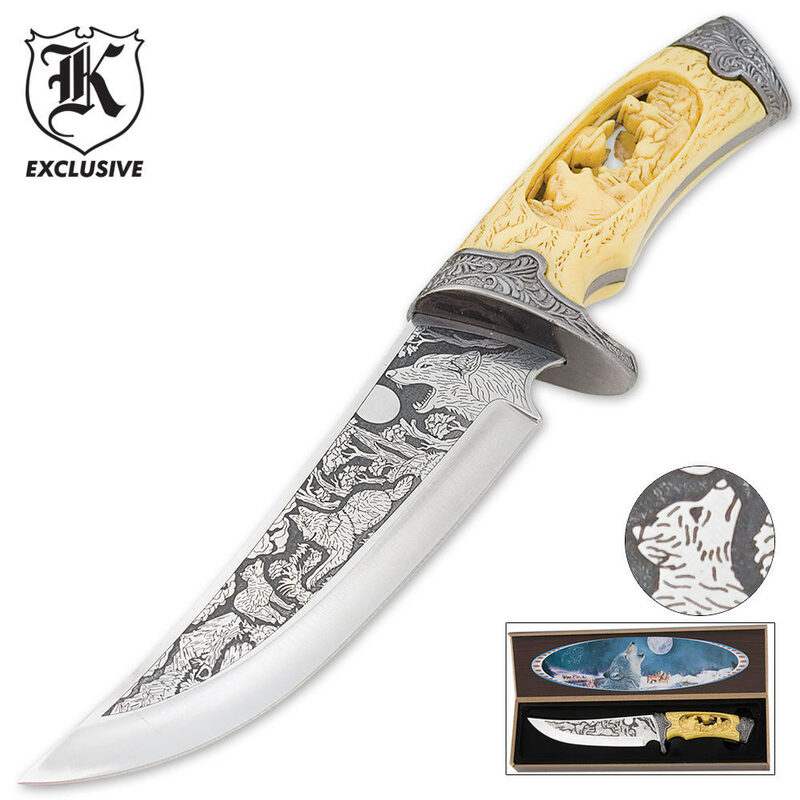 Custom Faux Ivory Wildlife Wolf Bowie Knife | BUDK.com - Knives & Swords At The Lowest Prices! Each offer a 6 2/8" stainless steel blade with intricate blade etchings. The custom faux ivory handles are hand carved to perfection featuring wildlife scenes that coordinate with the full color artwork featured in the hardwood display boxes.